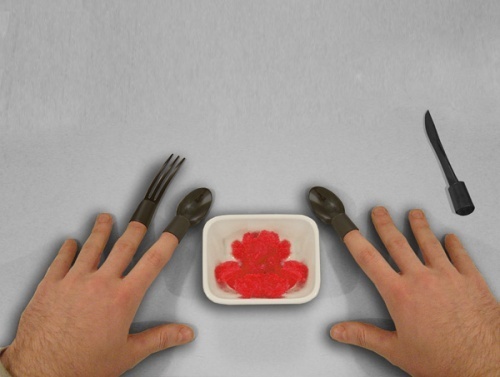 Finger Cutlery | 10 Weirdest Eating Utensils! This colourful plastic cutlery is made for children. The parent can use it in order to make eating more fun.